This is a base station unit for use with any Sennheiser DW Pro 1 or DW Pro 2 cordless DECT headset. 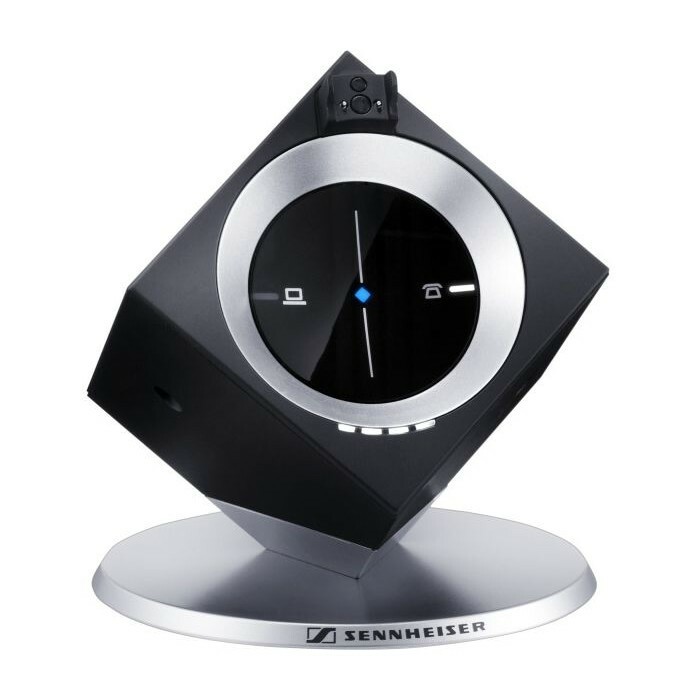 Localized for the UK, the Sennheiser DW BS Phone is designed for use with conventional deskphones, facilitating ease of use and quick deployment. Featuring DECT technology, this base station provides a range of up to 55 metres in a typical office setting and up to 180 metres if the headset is within line of site. Since it uses a different type of cordless technology to Wi-Fi, local wireless networks will not cause any interference either. This base station can also charge any compatible headset by fifty percent in just 20 minutes. This base station is suitable for use as a spare or a replacement for any DW Pro 1 or DW Pro 2 systems.